At the Business of Design Week (BODW) Forum which ran from December 5-7 in Hong Kong, renowned speakers urged their fellow young design talents to broaden their horizons. Patrick le Quément, the co-founder of The Sustainable Design School in France, had the same belief. He recalled his experience working with French automotive manufacturer Renault. “At Renault we started the trend mission, bringing our designers to visit different cities and exhibitions. We were not going to car shows but different types of exhibition, for example, an art fair to look for new innovations.” He said. The 11th BODW Forum kicked off on December 5, with Her Royal Highness Queen Mathilde of Belgium along with Hong Kong Chief Executive Leung Chunying officiating the opening ceremony. 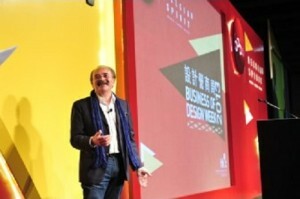 This year’s BODW partner country is Belgium.